It was during his high school years that Dr Vincent first considered becoming a dentist. His older sister was studying dentistry at the University of Queensland. She used to bring home models of teeth, instruments and more that Dr Vincent liked to examine. He later tagged along to dental school with her, had a look around and decided he wanted to attend the same institution. His sister is now a specialist pediatric dentist on the Gold Coast, lecturing and researching. Dr Vincent’s brother Dr Allen was also influenced by their sister and works with him at First Dental Studio. Dr Vincent holds a Bachelor of Dental Science with first-class honours, obtained at the University of Queensland in 2003. During his years there, he started up the Infusion Dental Study Club. Their group became affiliated with the Australian Dental Association and still meets once per month, meeting up to learn from speakers and compare cases. Dr Vincent is the former president and current treasurer of the organisation. He takes regular continuing education courses to stay current on the latest within the dental field. In his spare time, he collects toys that you’ll see in his dental surgery or is with his wife and young son, Jasper. Dr Vincent also owns and practises at Central Brisbane Dental, also in the Brisbane CBD. Originally from India, Meena completed the first part of her dental education in Bangalore. She moved to Australia and after raising her children she returned to school at the University of Adelaide, graduating from their dental program in 2002. She worked in Camp Hill for five years, then became a partner at First Dental Studio. Meena enjoys the hands-on creativity of dentistry and getting her patients results. “I love working with my hands and interacting with different types of people.” She has expertise in a wide variety of dental services, all performed with careful attention to detail to get you the results you want. She is a member of the Australian Dental Association and Vardiman Dental Study Association, which meets regularly to listen to speakers and discuss different aspects of dentistry. It’s important to Meena that she stays up-to-date with professional development and continuing education courses. She takes courses on various topics such as Invisalign®, dental implants and sleep apnoea. 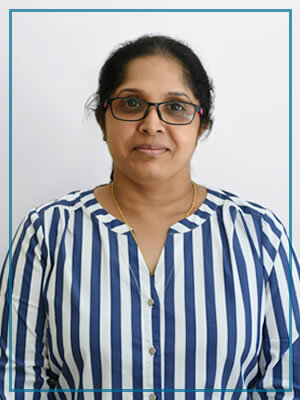 When she isn’t in the practice, Meena likes reading, travelling and spending time with her children. 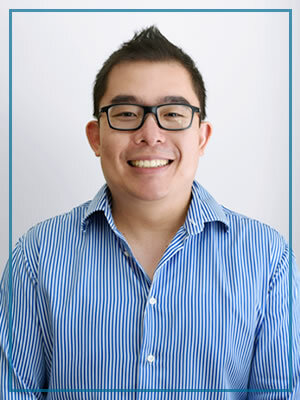 Dr Allen achieved a Bachelor of Dental Science with first-class honours from the University of Queensland, graduating in 2009. With a sister and brother who preceded him in attending dental school, he’d had an interest in the profession since he was young. 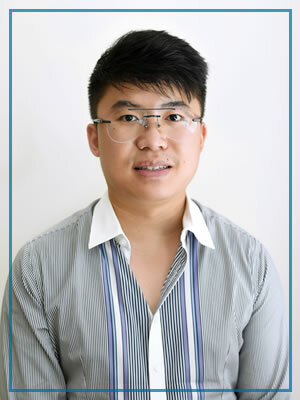 After graduation, he joined his brother Dr Vincent in practice at First Dental Studio and branch practice, Central Brisbane Dental. He enjoys the challenge of dentistry, intrigued by each patient’s case and how best to help them. He provides a broad range of dental services and has a particular interest in preventative dentistry, root canal treatment and crown and bridge work. Dr Allen regularly updates his knowledge and skills by attending numerous continuing education courses on subjects such as aligner orthodontics and dental implants. He’s a member of the Australian Dental Association. Outside of the practice, Dr Allen likes dining out and shopping with his lovely wife Carmen and his young son Austin.